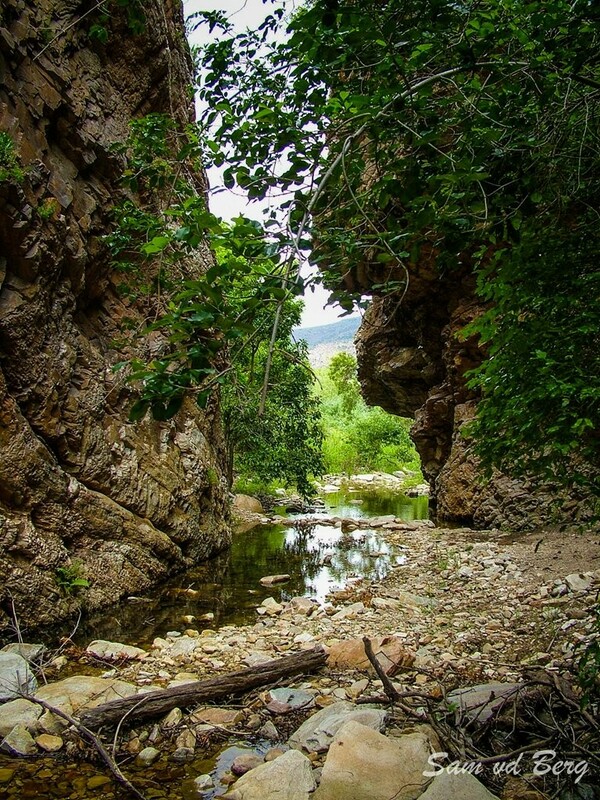 The landscape of the area is dominated by the Kouga and Baviaanskloof Mountains, which run parallel to each other in an east-west orientation. 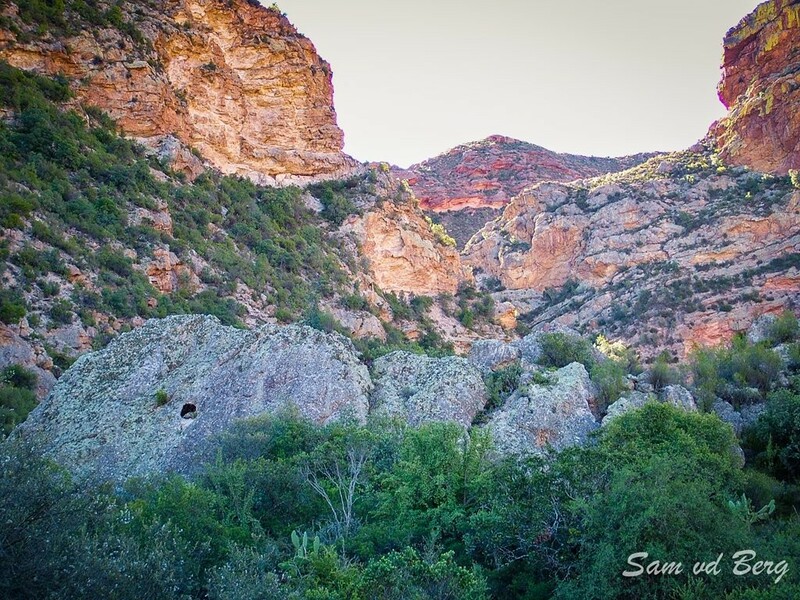 These are part of the Cape Folded Mountains. The Kouga range is the larger of the two. Many high peaks occur in the western and central parts of this range while the eastern end is less rugged with plateaus and hills generally less than 900m in altitude. Smutsberg is the highest peak at 1757m above sea level. 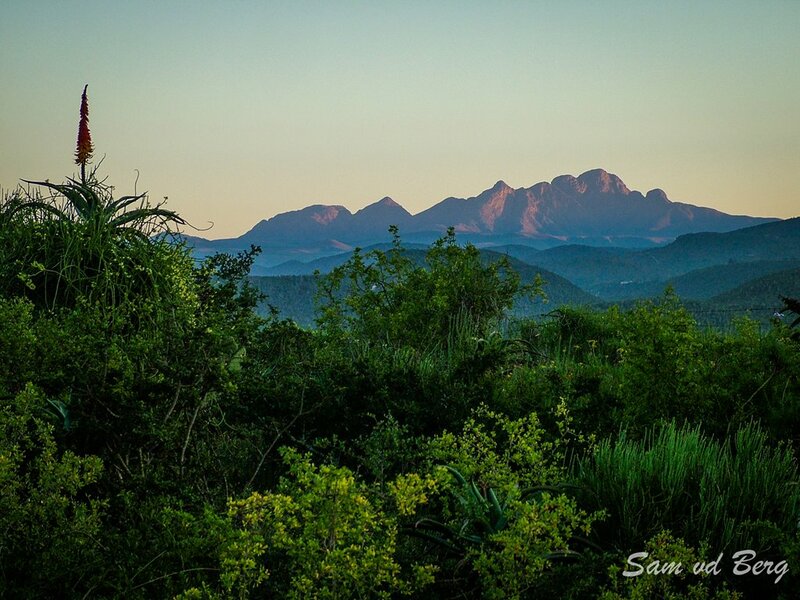 The Baviaanskloof Mountains form a long narrow range with Scholtzberg at 1625m being the highest peak. 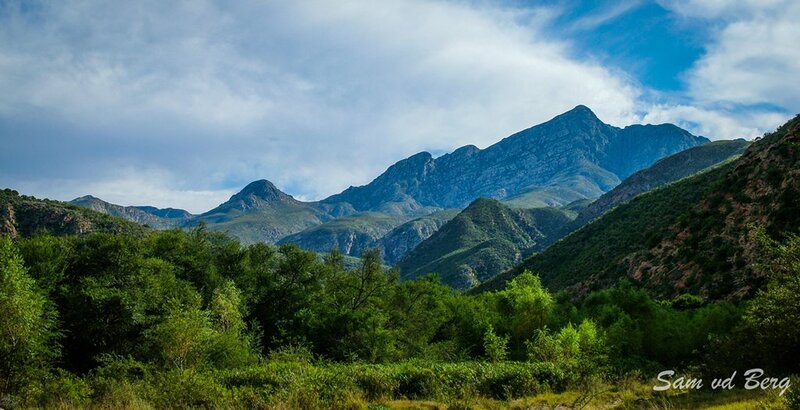 In the east the Baviaanskloof Mountains join the Groot Winterhoek range with Cockscomb being the highest peak and, at I 768m above sea level, the highest peak in the wilderness area. 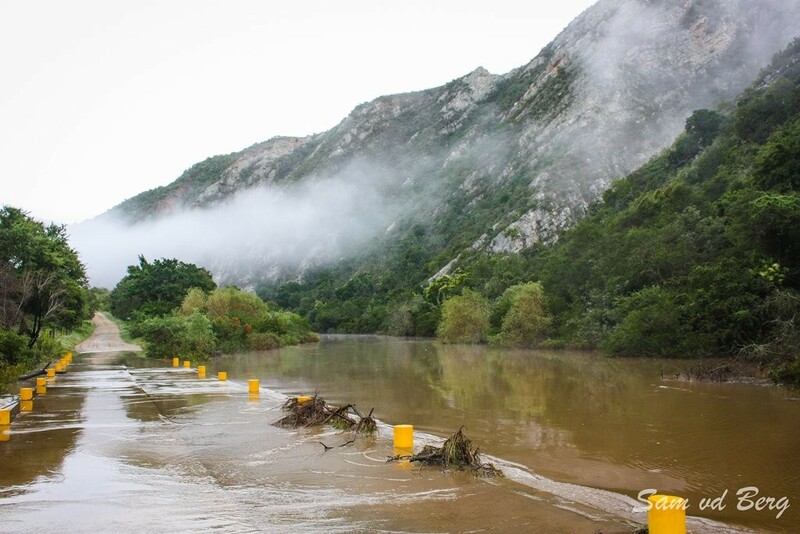 Two main rivers drain the area, namely the Baviaanskloof and Kouga rivers. They converge at Smitskraal from where they flow in an easterly direction to the Kouga dam. 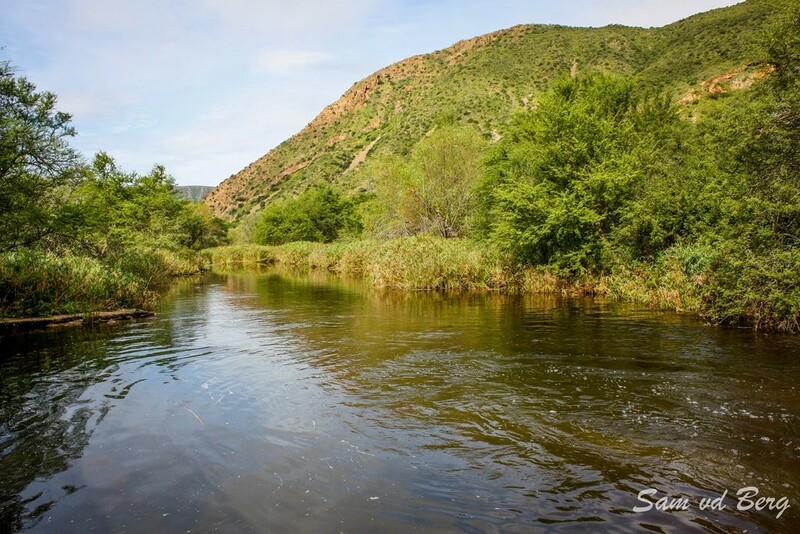 The Grootrivier drains the Karoo and flows through the reserve near Komdomo. 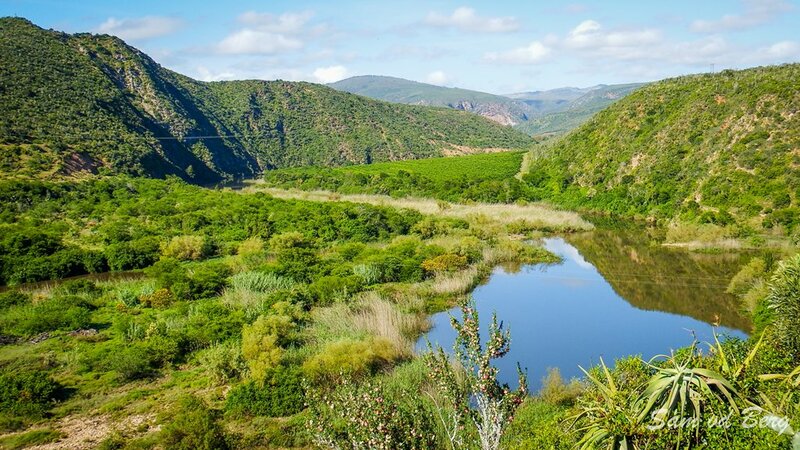 The Witrivier which has its origins within the reserve also joins this. 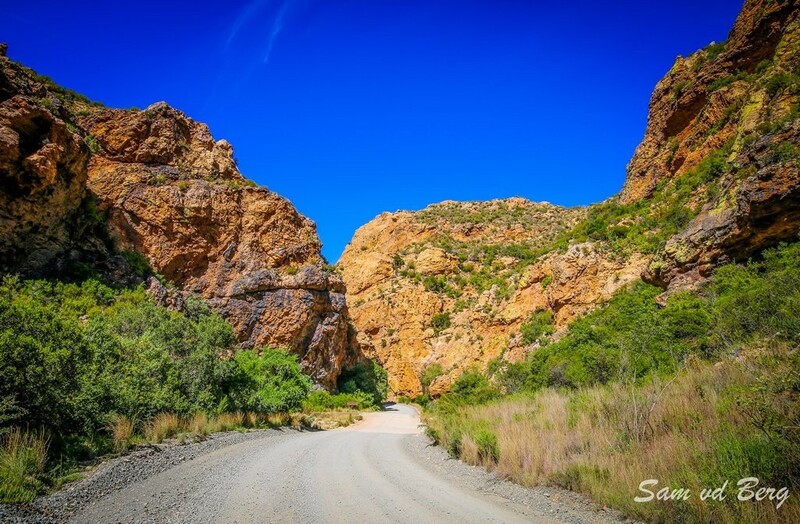 Although the "modern" Baviaanskloof is about 20 million years old, its precursor dates back 140 million years ago to the break-up of the continents when a major tensional fault formed along what later became known as the Baviaanskloof. Erosion, together with repeated subsidence and upliftment events have over the course of millions of years created the landscape one views today. Contrasting with the steep rugged gorges and mountain slopes are some remarkably flat plateau's at an altitude of 650-900m. These are part of what is known as the African Land Surface, an old "mature" land surface which can be found over large parts of sub-Saharan Africa. The Table Mountain formations upon which this surface lies are hard and resistant to erosion with the result that the African Land Surface is well preserved within the Baviaanskloof. Quartzitic sandstones of the Table Mountain Group dominate the landscape as a whole. All formations belonging to this group can be found in the area and, of these, the Peninsula Sandstone Goudini Sandstones and Cedarberg shales are predominant. Peninsula Sandstone - the oldest formation which usually dominates at higher altitudes and on the peaks. 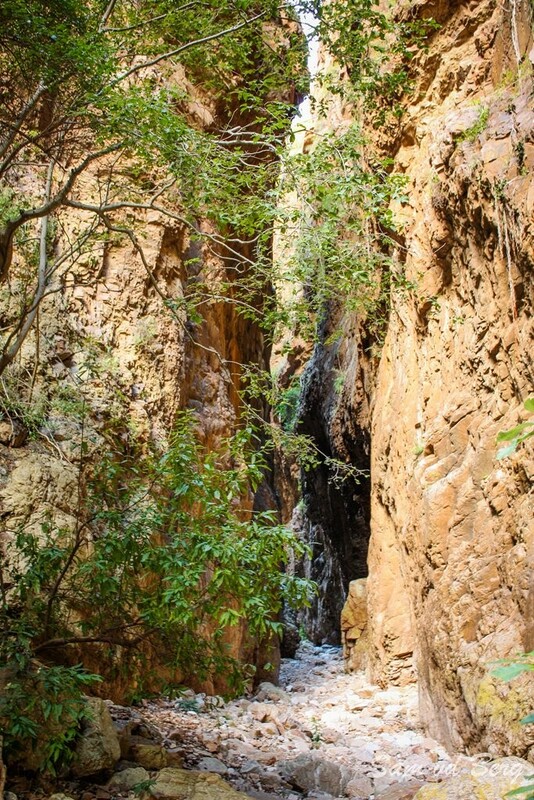 Cedarberg Shale - it separates the Peninsula from the Goudini formation with a 10-40m wide bar and is usually associated with lower lying necks and saddles. Goudini Sandstone - is generally brown in colour and can often be recognised by the numerous shallow caves in the cliffs. 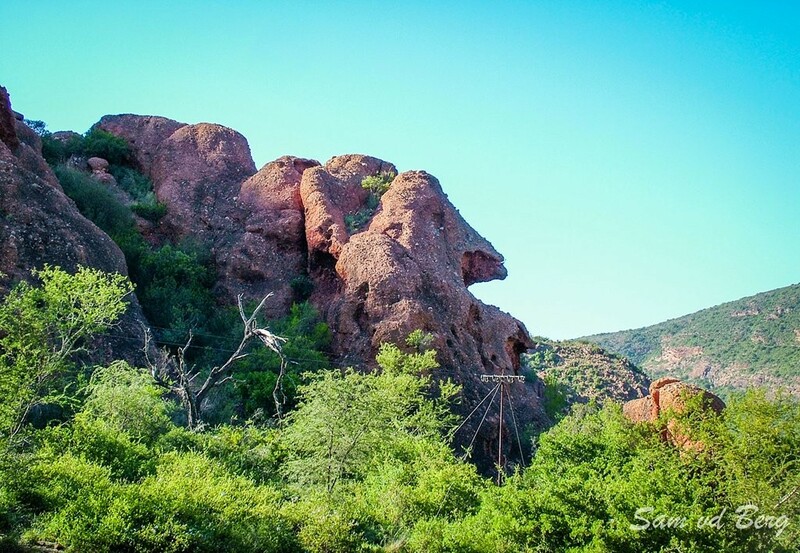 Skurweberg Sandstone - is associated with the Cockscomb and most of the higher peaks of the Baviaanskloof range. Sardinia Bay - is mixed with phyllitic shales and small-pebble conglomerate. 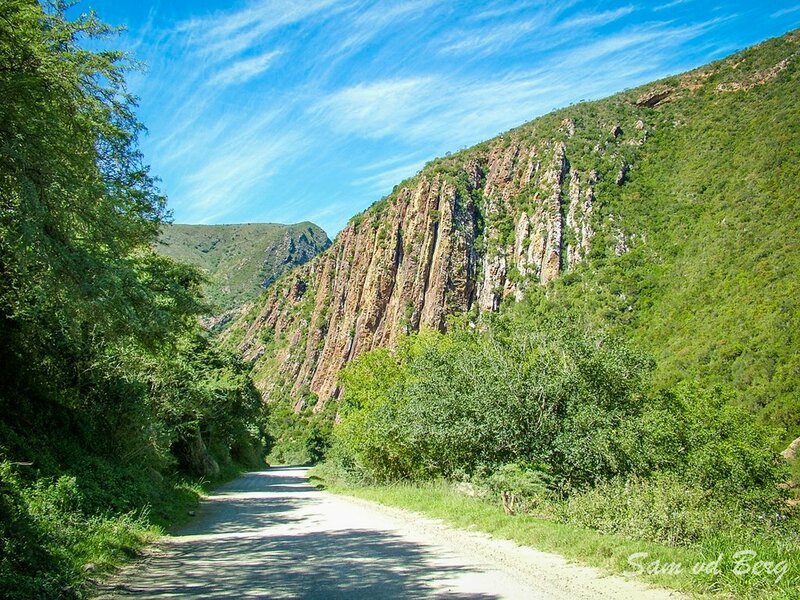 It can be seen at low altitudes at the eastern end of the Baviaanskloof range. 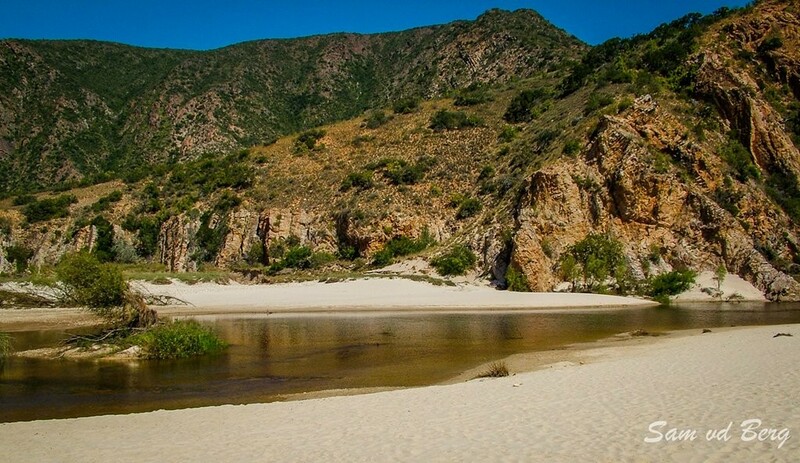 Baviaanskloof - is dark in colour and, along with the Sardinia Bay formation, is relatively uncommon. 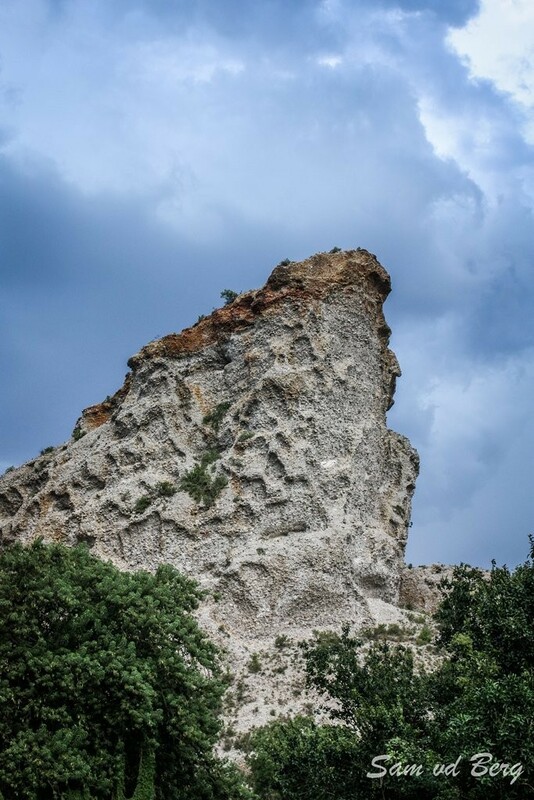 A number of other formations are present but are insubordinate in the landscape. 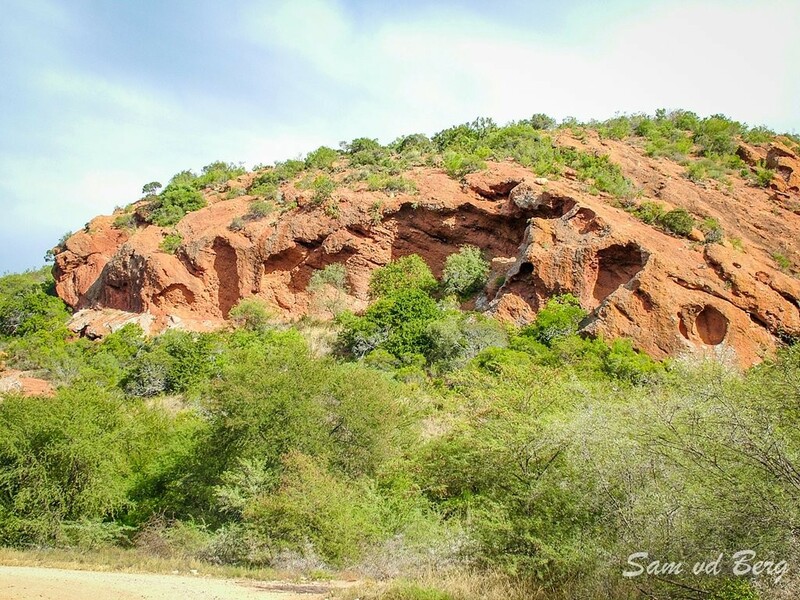 Noteworthy ones include the Grahamstown Formation which can be found on the flat plateau surfaces and has been termed the African Land surface and the Enon Conglomerate Formation, a red formation which erodes into dramatic shapes. 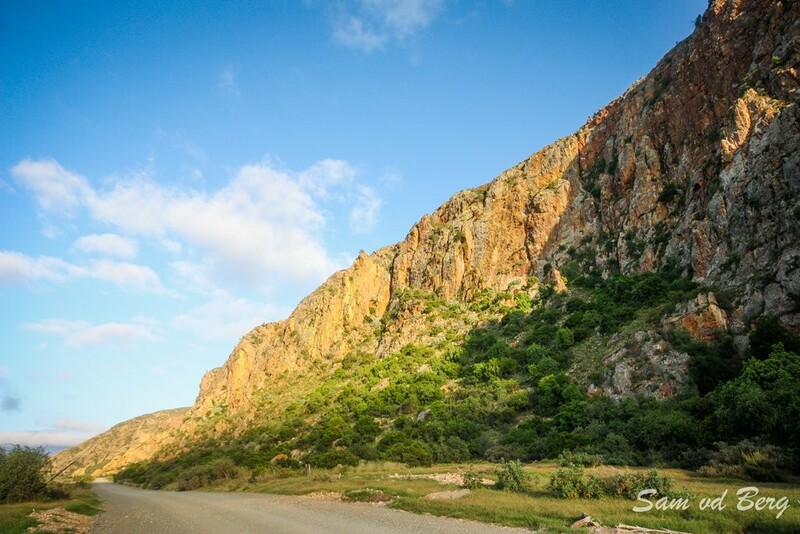 The only exposed granite formation in the Eastern Cape (as depicted on geological survey maps) occurs within the Baviaanskloof.